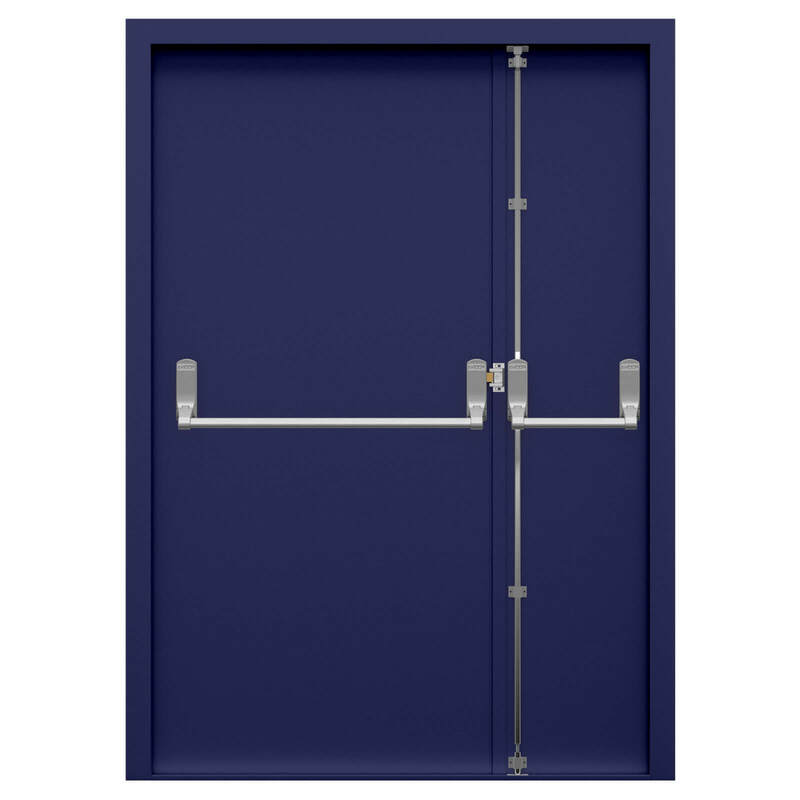 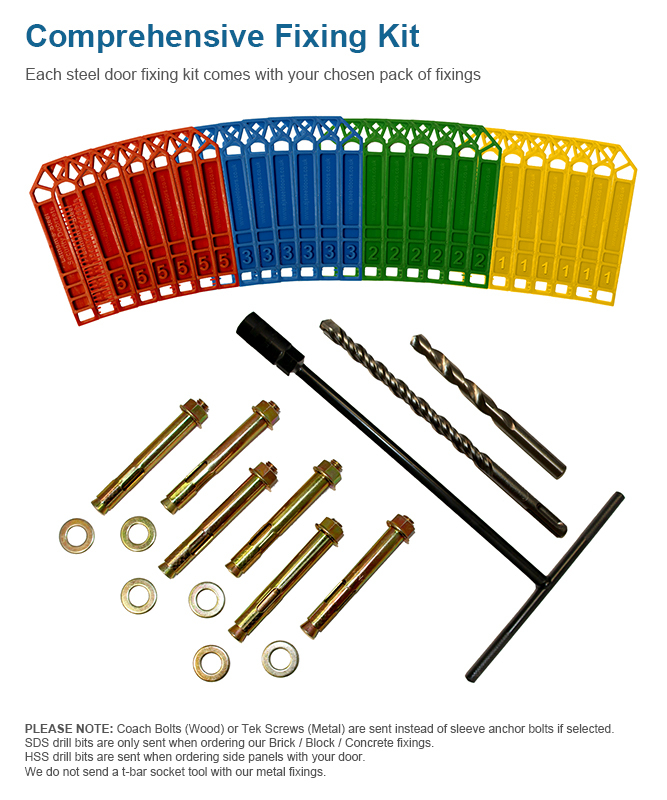 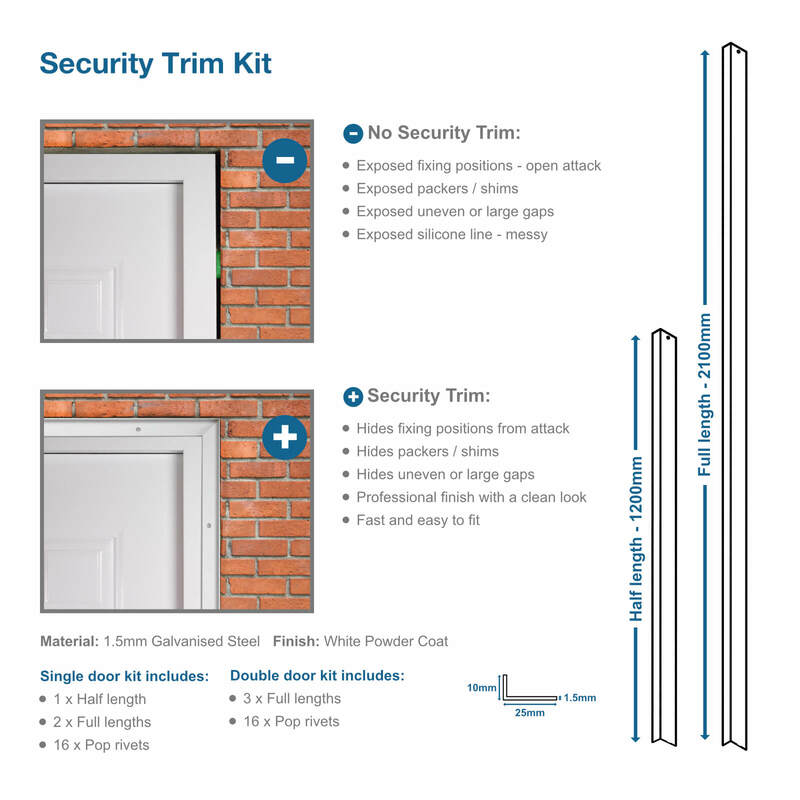 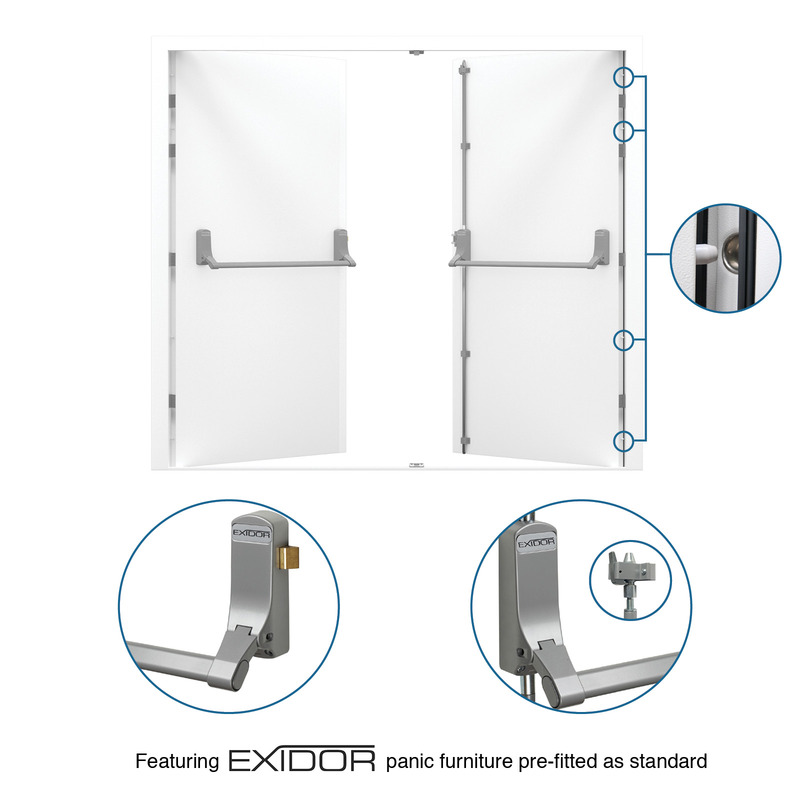 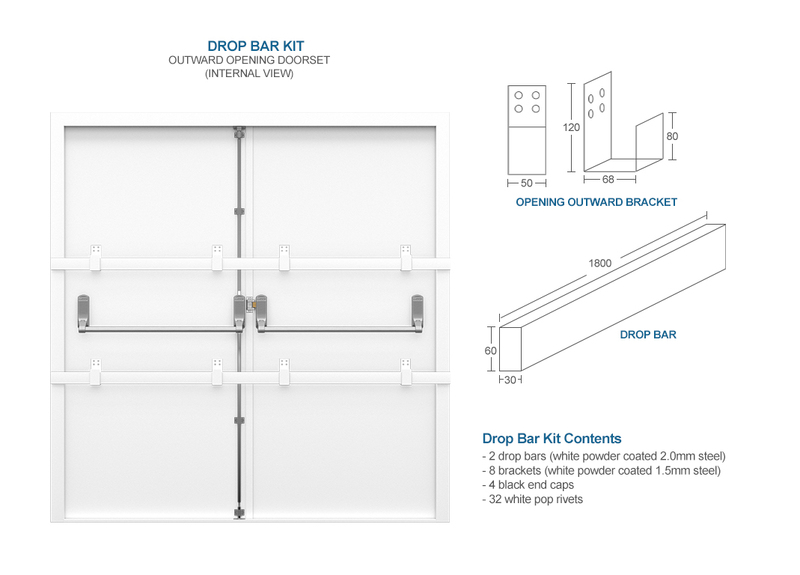 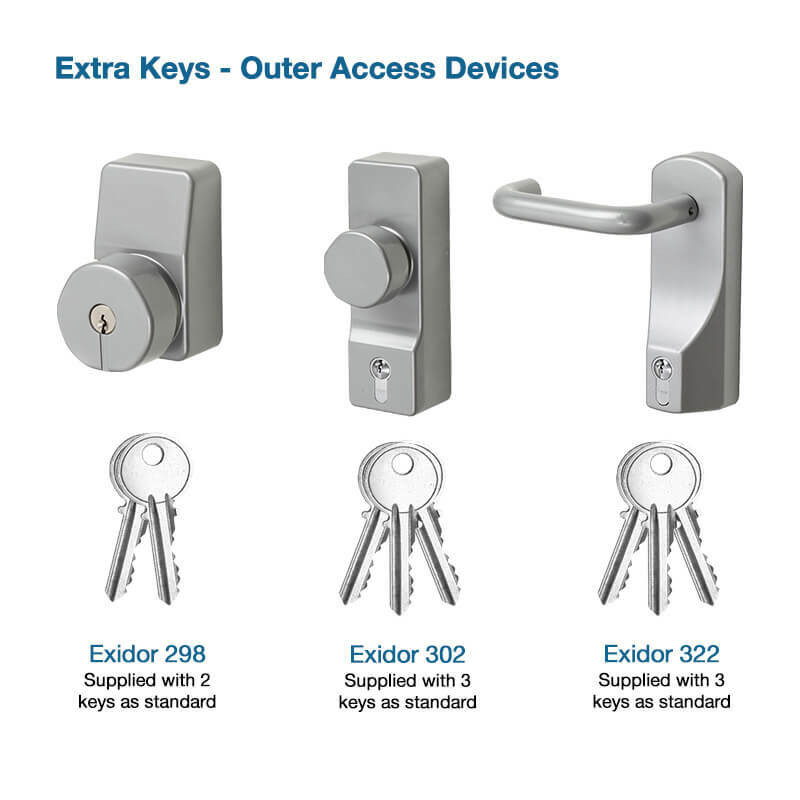 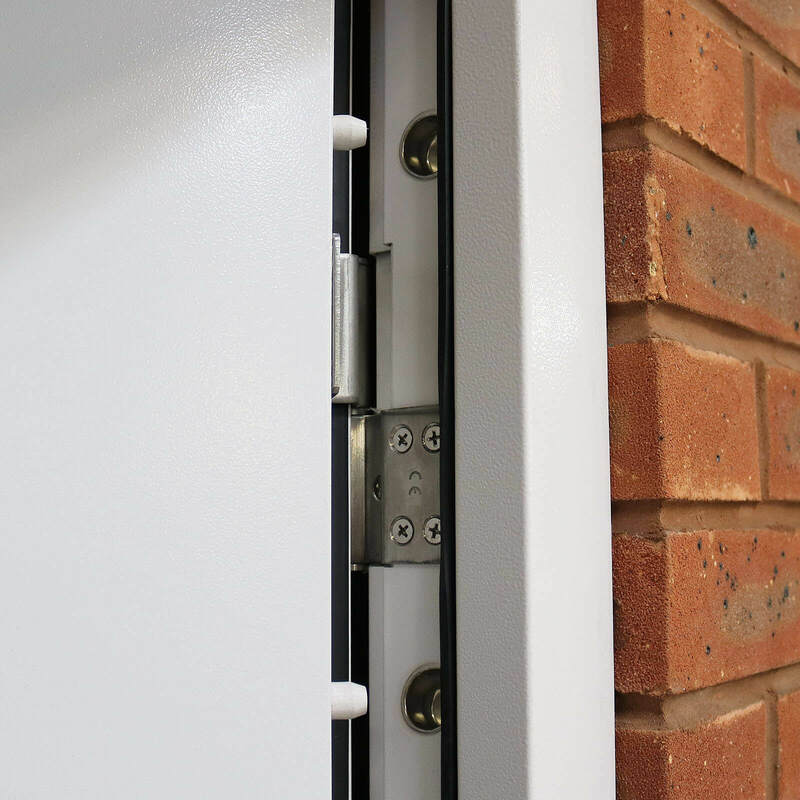 Our Double Fire Exit Door features a security Exidor 285 adjustable panic bar set and is available in stock from 1295mm right up to 1995mm wide. 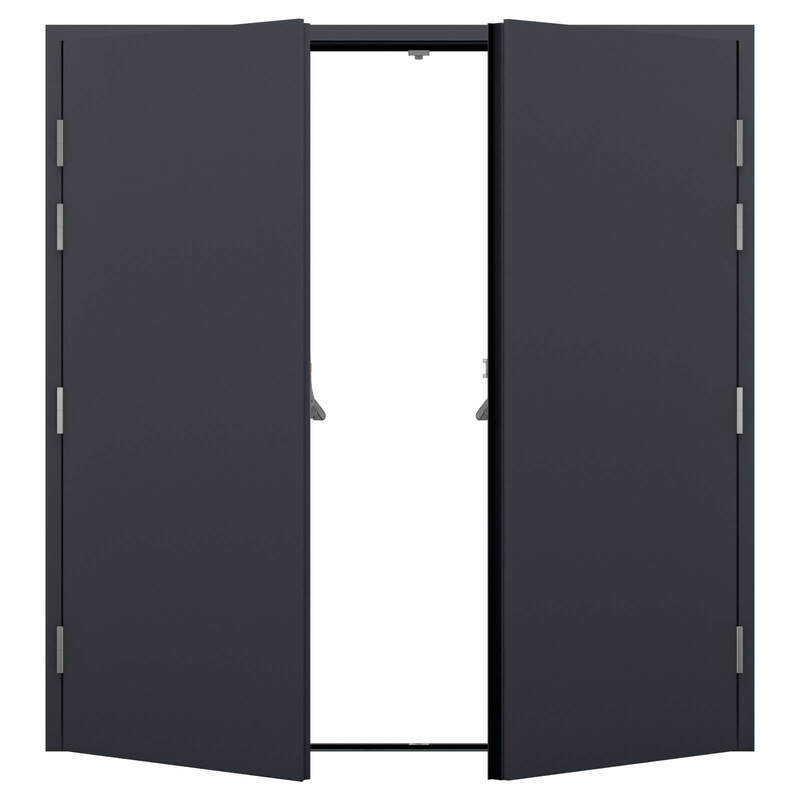 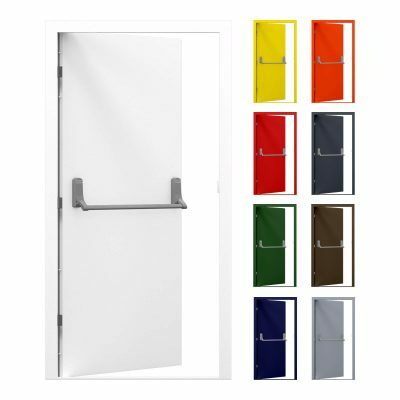 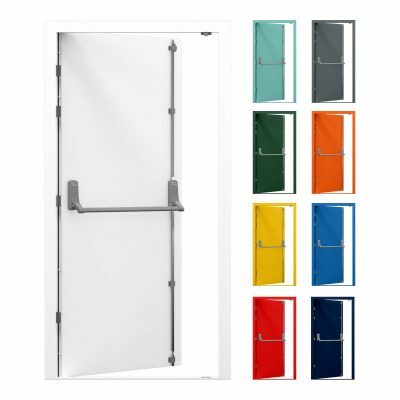 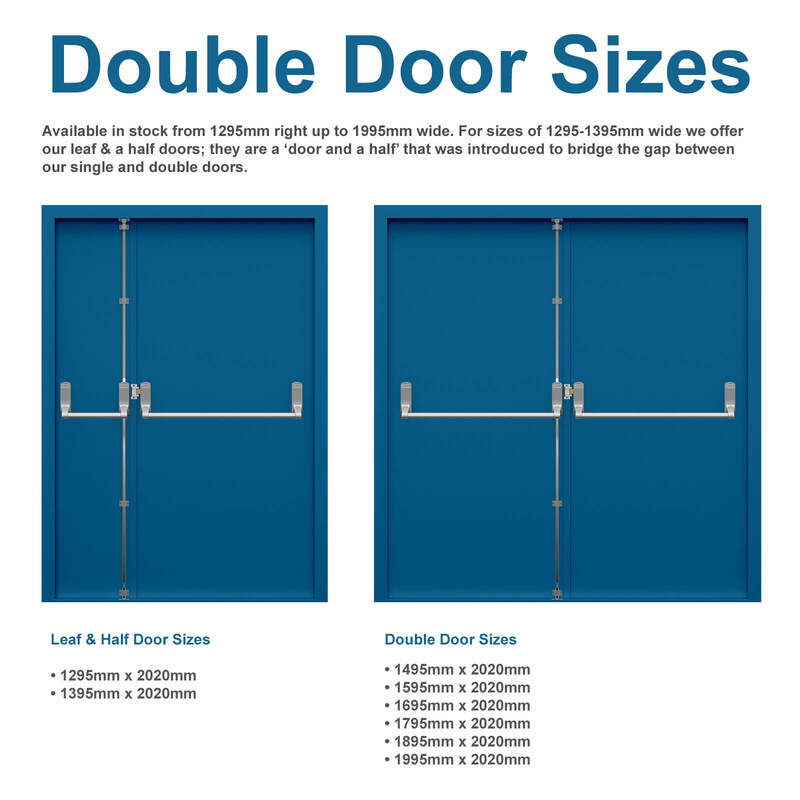 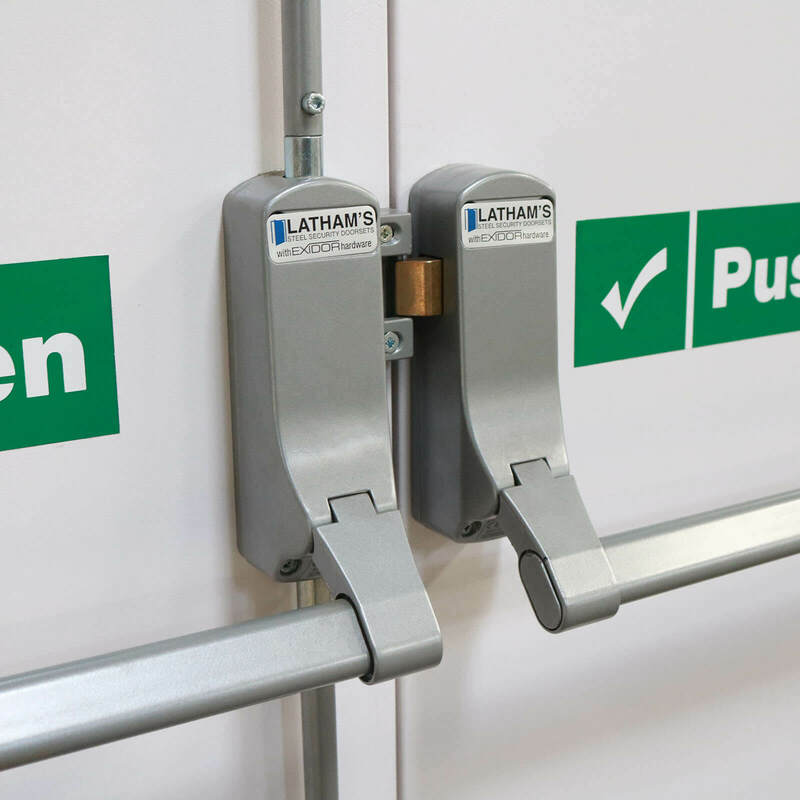 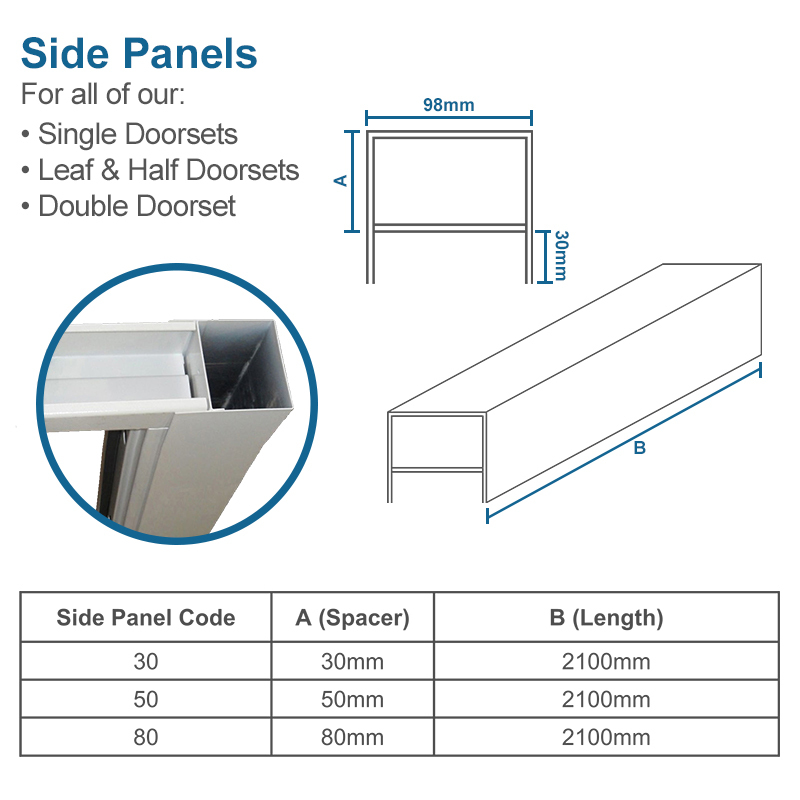 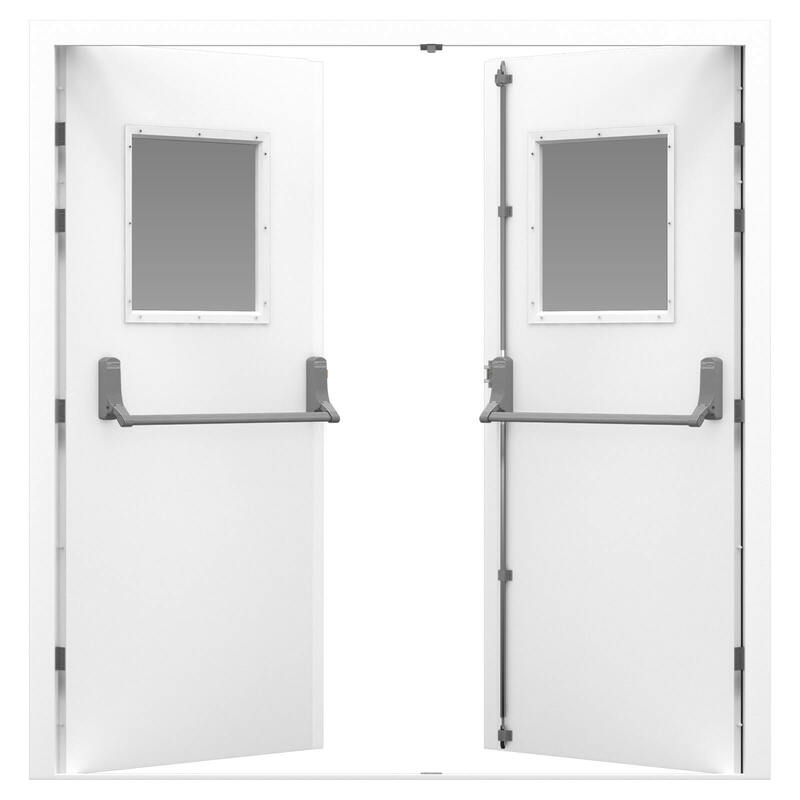 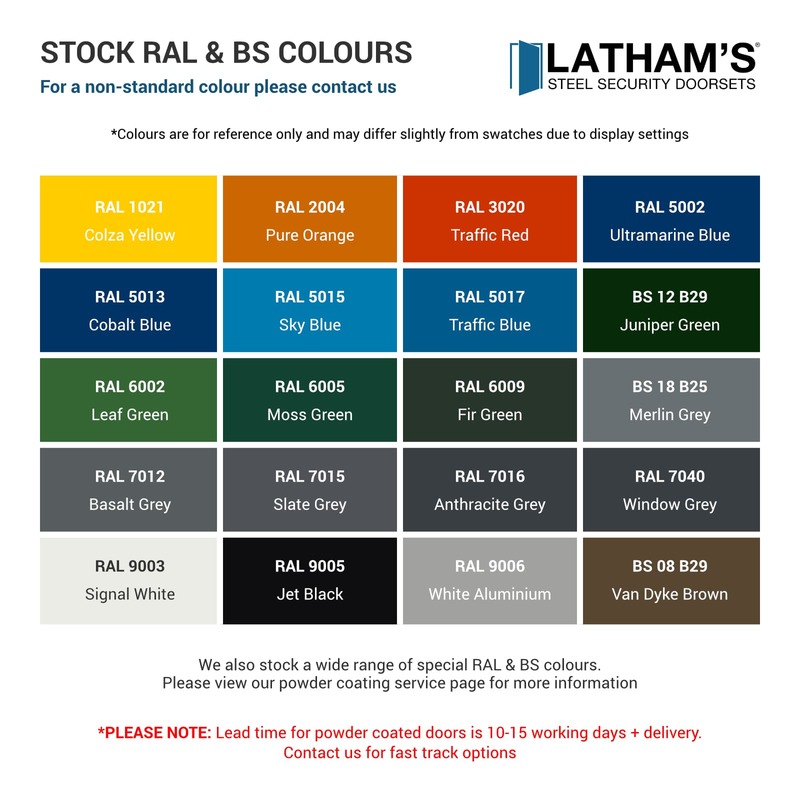 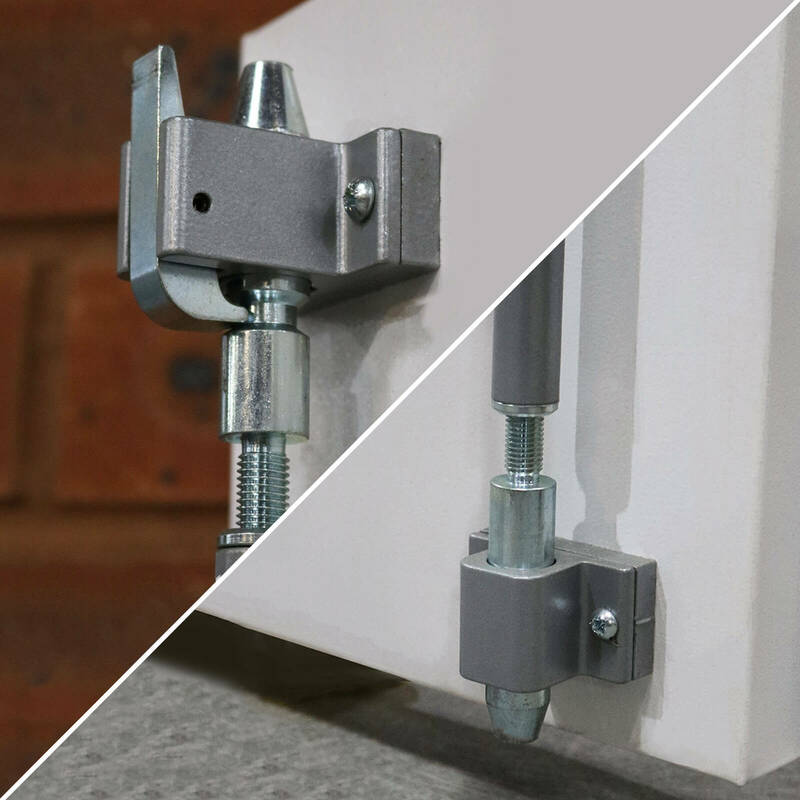 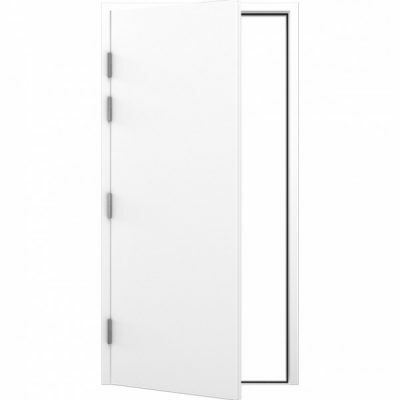 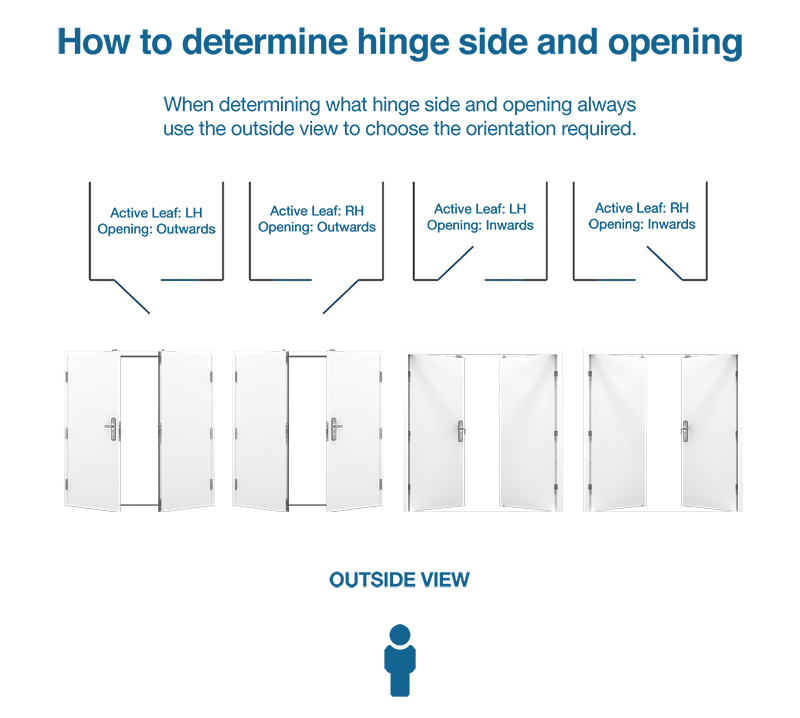 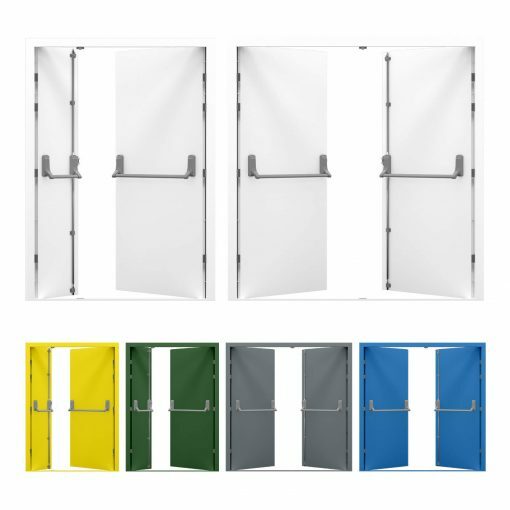 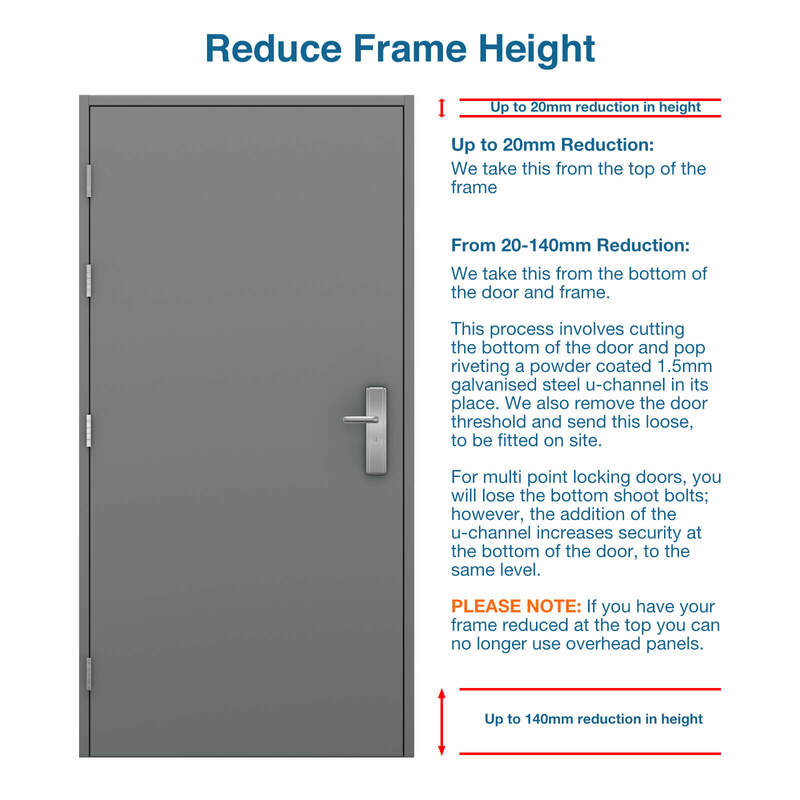 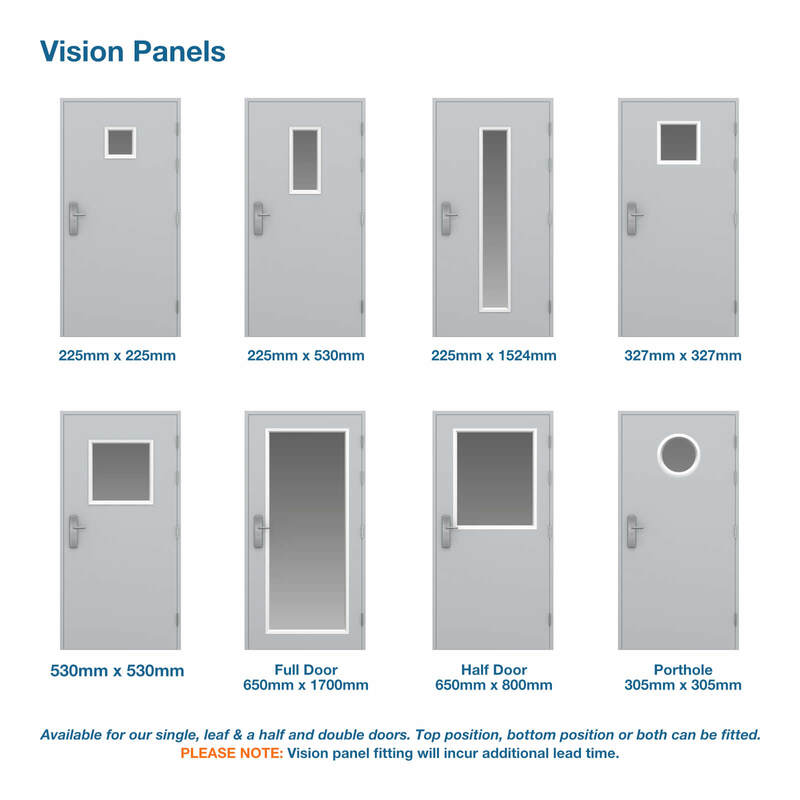 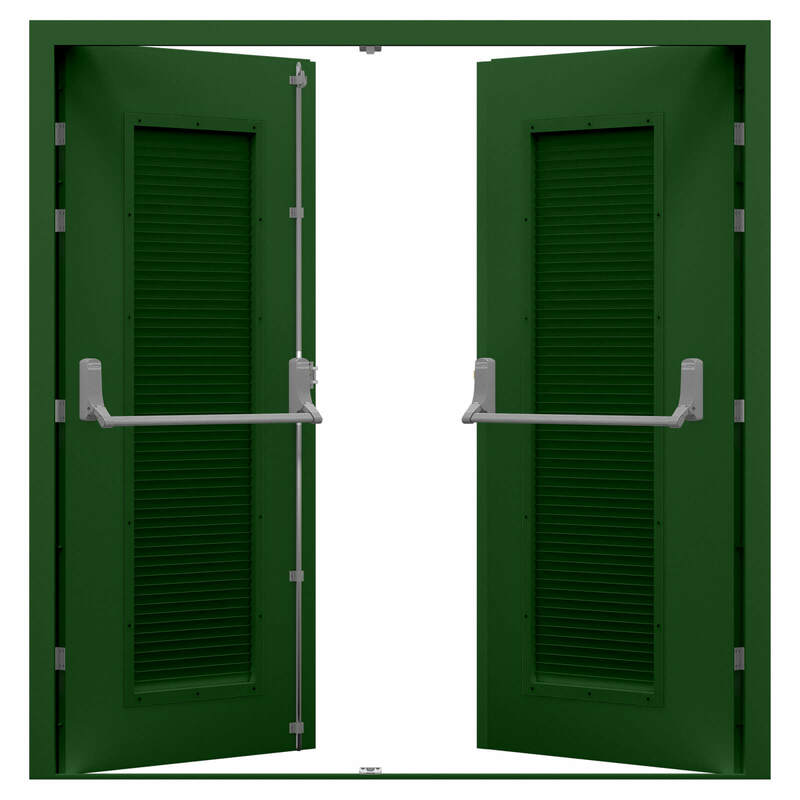 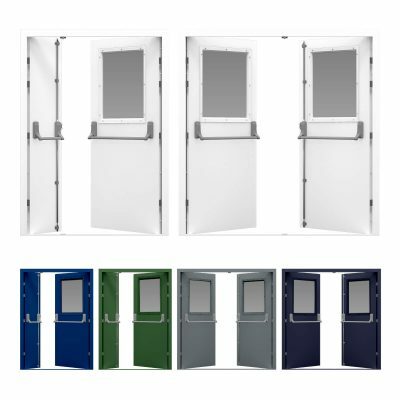 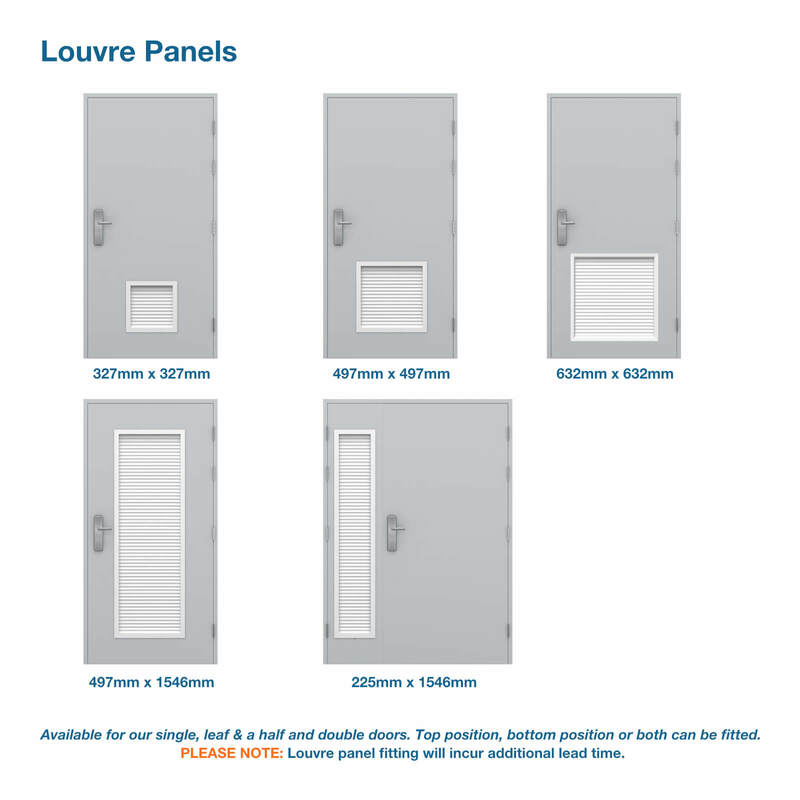 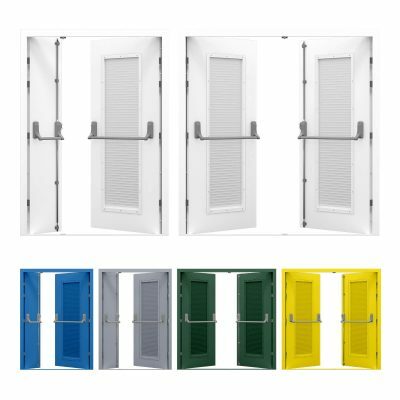 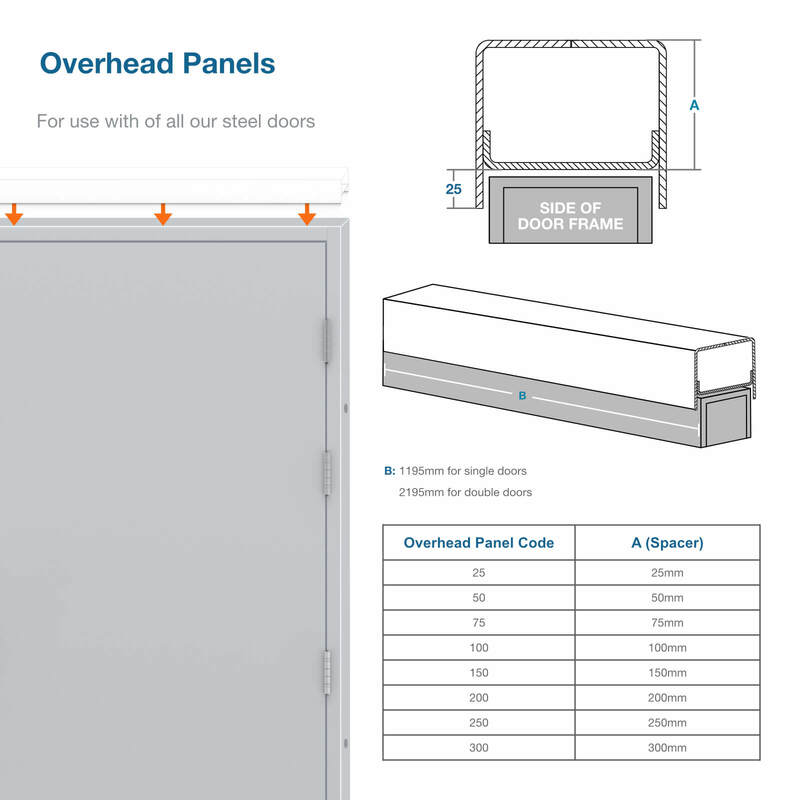 For sizes of 1295mm & 1395mm, wide we offer our leaf & a half emergency exit doors; which were introduced to bridge the gap between our single and double fire exit doors. 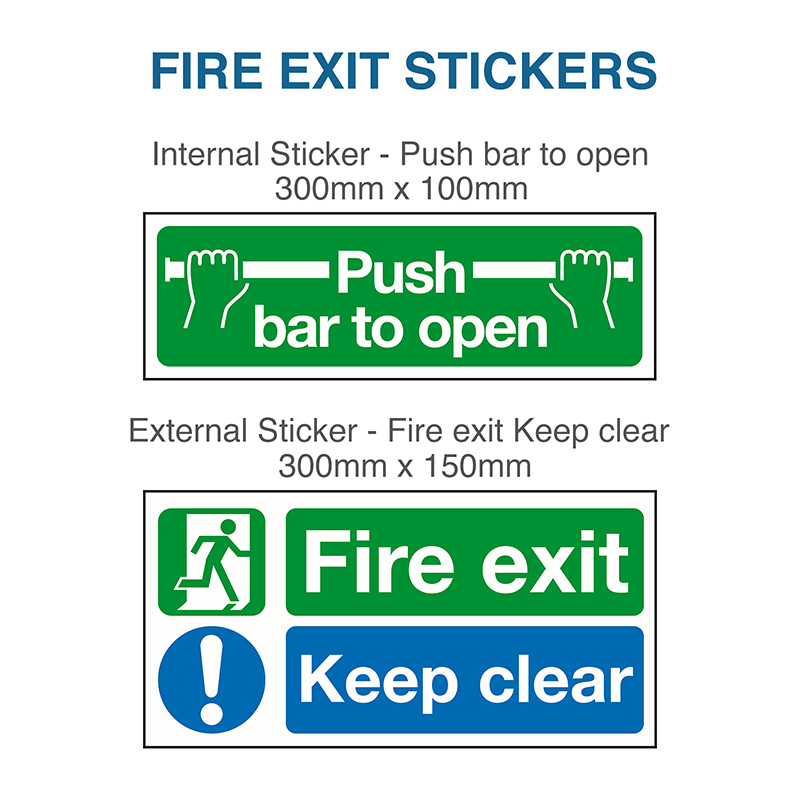 Ideal for larger openings and buildings with high occupancy, our double fire exit doors are fully compliant to satisfy fire regulations and building control. 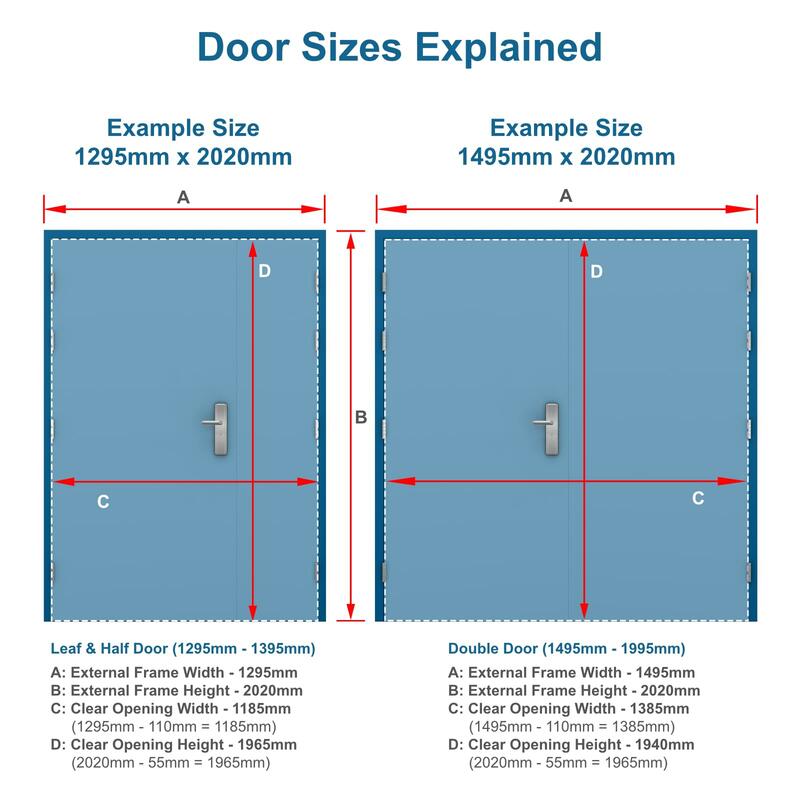 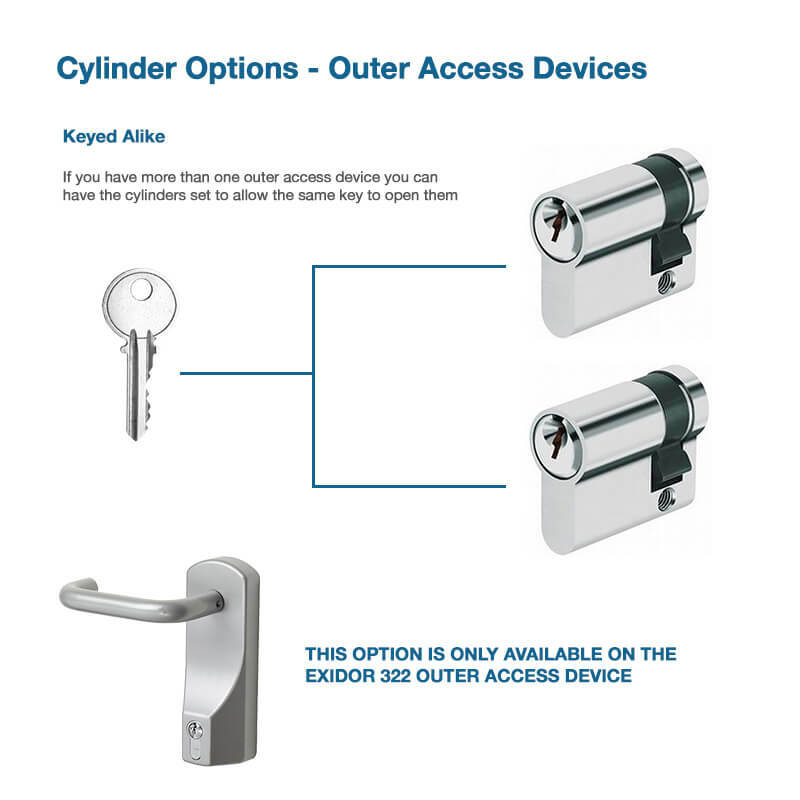 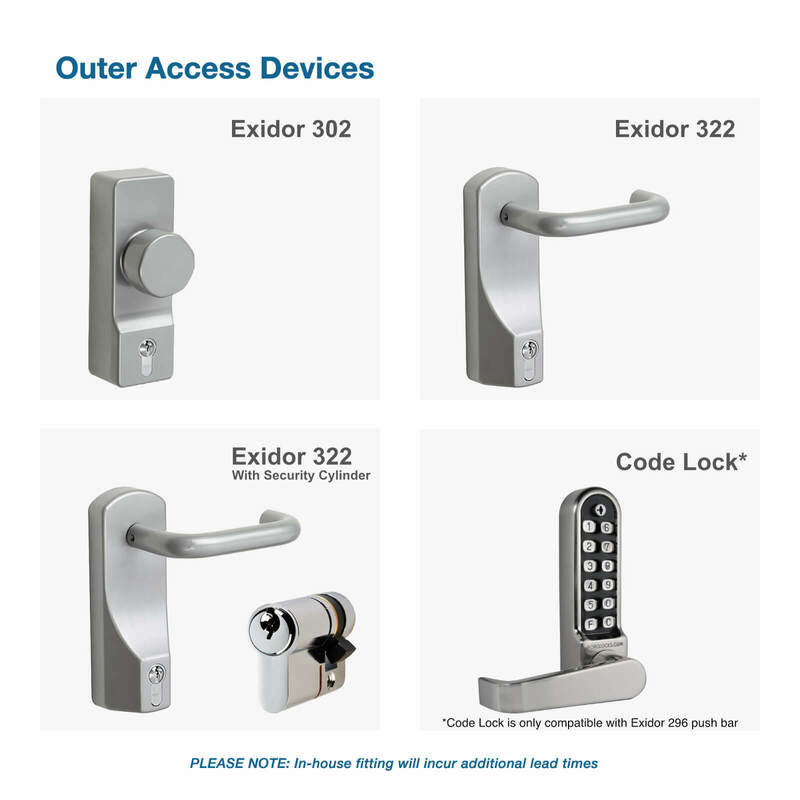 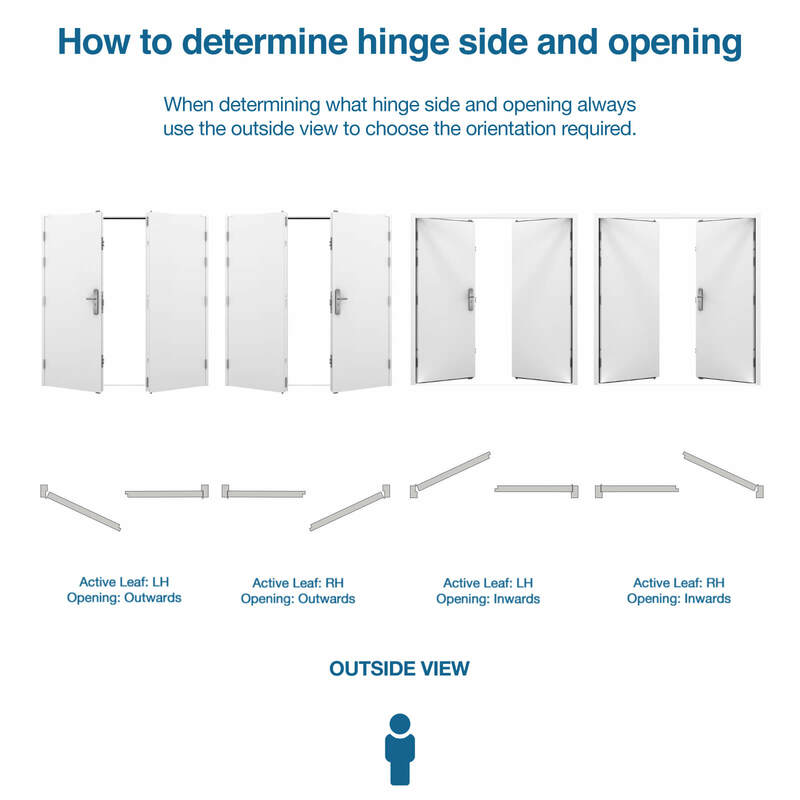 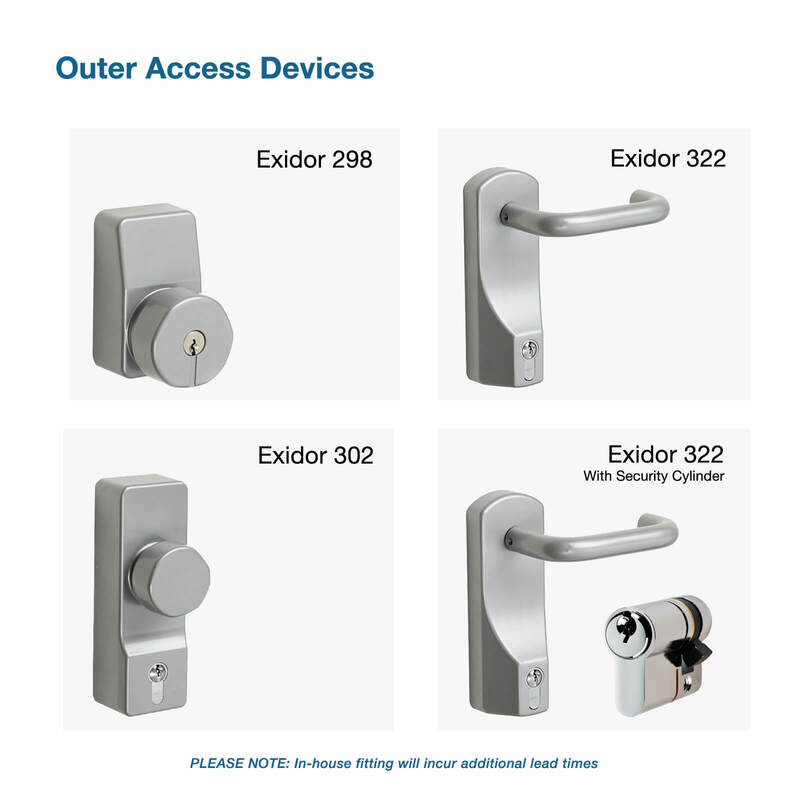 For advice on occupancy vs fire escape door size, see this article here.